A Northern Ireland mother has been campaigning for months for access to medical cannabis oil. Now her son will be the first UK patient to receive it. 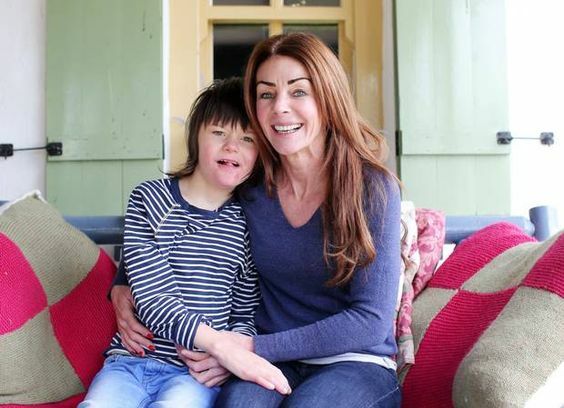 A young boy in Northern Ireland will be the first in the UK to legally use medical cannabis. 11-year-old Billy Caldwell from Castlederg has a rare and severe form of epilepsy. Now, he finally has the chance to access a simple and safe medicine that may save his life right in his hometown. To his mother, Charlotte Caldwell, this news seems almost too good to be true. Billy has not yet reached his teen years and he already suffers from daily seizures. He and his family have been battling the condition for years and conventional medications just didn’t cut it. Desperate for an effective option, the Caldwell’s even raised money for an expensive trip to Los Angeles, where medical cannabis is legal. While there, they tested Billy’s reaction to small doses of highly concentrated medical cannabis oil. It worked like a charm. Since beginning a cannabis oil regimen, Billy has been seizure-free for 82 days. Unfortunately, the high costs of medical care meant that the family could not stay in sunny California for long. The Caldwell’s had to return home, inspiring Charlotte to embark on a 150-mile charity walk to raise awareness and encourage action on medical cannabis. After months of campaigning, Charlotte was finally handed a written prescription from the NHS on April, 19th, just one day before the largest cannabis holiday in the world. But, for the Caldwell’s, finally having a firm prescription in their home country is about much more than another move forward for cannabis reform. It gives Billy his life back. It’s been an extremely long and tiring battle for us. It’s been an amazing day. I’m still in shock and can’t believe it has happened. […] I never saw this day coming, even though I knew that we had a good case. Charlotte hopes that her and Billy’s success will open the doors to other families in need of medical cannabis care. While having the NHS prescription in hand is relieving, acquiring the medical cannabis oil is still takes a bit of work. Billy’s treatment will be provided by Dublin’s Dr. James Linden of Greenlight Medicines. Dr. Linden will have to supply the mail doses of the cannabis oil to a hospital in Northern Ireland. From there, Charlotte and Billy can pick up the plant-derived treatment. Though Billy and Charlotte have finally gotten the medicine they so desperately needed, Charlotte plans to continue to work to make medical cannabis accessible to British patients in need. Like many medical cannabis pioneers, Charlotte is ready to push for meaningful legal action for cannabis reform. The next step is to secure Billy’s brain scan to know whether he can undergo surgery. We also have a legal team putting together Billy’s Law which is a medicinal cannabis bill which is going to Stormont through Sinn Fein MLA Barry McElduff. Thanks to tireless persistence, the UK now has its first official medical cannabis patient. Let’s hope that there are more to come.